Not even half good as the first part. Punches and dialogues were not upto the mark. There is no story in this movie and I honestly didn't enjoyed it. Varun Sharma performed good and was able to create laughter here and there. My rating for this movie is 2/5. Fukrey Returns is one of the best Bollywood Comedy movie of 2017 and the best Bollywood movie I've seen in 2017 in theatre. Now story of movie is similar to first movie with some changes here & there but the outline follows first part. The strength of the movie comes from it's characters, whether major characters or minor characters, all together lifts the movie, the chemistry between cast is good and one very good thing that makers did is increasing the screentime of few characters which were in minor role in previous film which also helped the movie specially Pandit Ji. The cast are hilarious and stand out are Choocha & Pandit, both are absolutely hilarious and rest are good too, the humor in movie is continuous and even though there are few scenes where humour dries and drama takes over, those are few and far and comedy takes centre stage. 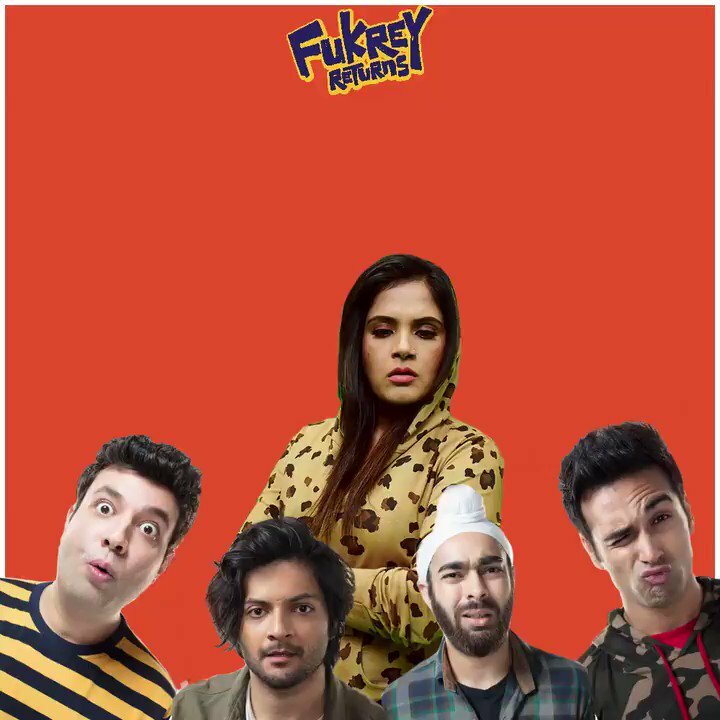 Overall Fukrey Returns is an entertaining comedy movie which is much better then comedy movies like Jolly LLB 2, TEPK, Judwaa2, Golmaal 4 etc and also one of the best movies of 2017. Looking forward now to it's inevitable sequel and more antics of Fukra party , and hopefully this time they take less time to return..! !